Jenn has landed photo sessions with Seventeen, People and Cosmopolitan Magazines. More recently, she has had the pleasure of photographing Miss America, Chris Harrison from The ABC Series, The Bachelor and Lara Spencer from Good Morning America. While living in Nashville, she had the opportunity to work with some of the best in the industry, and now she is excited to bring her creative edge to the City of Charleston, SC. SHE KNOWS HOW TO POSE YOU! Jenn is also the author of the book; Distinctly You... Rebranding Yourself From The Inside Out. Jenn specializes in rebranding your look for your business and social media! Jenn Cady Photography is fashion forward, light, fun, and energetic in the way we approach every session. Get ready to be the BEST version of yourself. Are you in need of a new headshot? Are you trying to get a modeling contract? Are you looking for a photographer who wants to see you look your best and knows your best side? 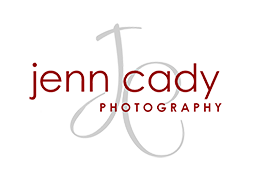 Then look no further, Jenn Cady Photography is one of the leading professional photographers in her industry today.